3-D printers allowed graphic designer Patrick Durgin-Bruce to launch a new business last month. Mymo sells necklaces, keychains and ornaments that customers personalize with any two letters or numbers. 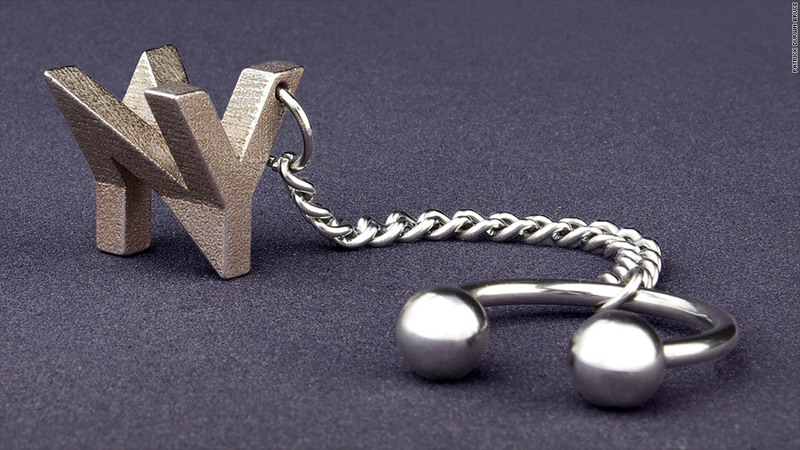 The monogrammed mini-sculptures are created in stainless steel, silver or ceramic by 3-D printers, which make it possible for Mymo to offer more than 2,000 different designs. You can't offer that many possibilities using traditional manufacturing, Durgin-Bruce said. But he doesn't own any 3-D printers, instead paying Shapeways to print each order. He has to wait two to three weeks before the product is shipped to him at Mymo's Manhattan office where he does any final assembly and packaging. He charges $75 for the keychains and ornaments, $75 for a stainless steel necklace, $160 for a sterling silver necklace and $275 for one made of hand polished silver. Durgin-Bruce is planning to expand his product line by offering other jewelry items, but says it would likely be a long time before he bought his own 3-D printer due to the overhead and maintenance costs. A high-end 3-D printer can cost thousands of dollars and more than one machine is needed to print in different materials.